62 million people listen to at least one podcast every week. But, what you have to remember is that nobody wants a podcast, people want the transformation that the podcast gives them. People who listen to podcasts are looking for real-life stores, advice, and knowledge. The most successful podcasts tell people a story and want people to make a transformation with them. They share stories about personal relationships, business, entrepreneurship, parenting, etc. The stories are endless. Creating a podcast that becomes successful is a lot of hard work and dedication. But we can help you share your story with the world with these 4 ways on how to market a podcast. A great way to start your podcast marketing and get new listeners is to advertise your podcast on other podcasts. If you find a podcast that you really want to promote on, you could create some type of podcast marketing strategy to benefit both parties involved. For example, you could offer to promote their podcast in exchange for them marketing your podcast to their audience. They can help you promote your own podcast by using their audience. You can also invite guests to speak on your podcast. Your guest will probably want to promote their own podcast to your audience, and you will attract some of their followers to listen to yours. It's really a win-win opportunity for both of you. This will help you get new people to listen and promote your podcast. If you had many guest speakers to promote your podcast, image how many new listeners and followers you would receive. Building a brand is one of the most critical aspects of having a successful business podcast or a personal podcast. When you build either a personal or business brand with podcasting, it creates so many new opportunities for your brand and can create a stream of passive income for your business. When building your brand, you have to find what makes you unique and what makes you stand out from the competition. Be comfortable with yourself and show the world what you have to offer. You also have to be consistent and aware of your target audience. When you tell people you are going to release a podcast every week, then do that. You want to build trust with your listeners. Remember that you are creating content for your audience, not for yourself. Think about what your audience has interacted with the most or what questions you have been asked. You could create podcast episodes from the questions your listeners ask you. Finally, you want to reach out to your hardest competition. When you get involved with your competition, you have the opportunity to learn from them. You can pick up some cool tips and see what they are talking about and how they became successful. Create content for your audience, not yourself. Reach out to other podcasters. Share across all social media platforms. Take one of your podcast episodes and cut it into micro pieces of content that are actually built for each platform that you want to be involved in. This could be memes, videos, pictures, sound clips, etc. Take your podcast episode that may be 20, 30, or 45 minutes and break it down into these little micro chunks and start pushing ad dollars towards those videos. 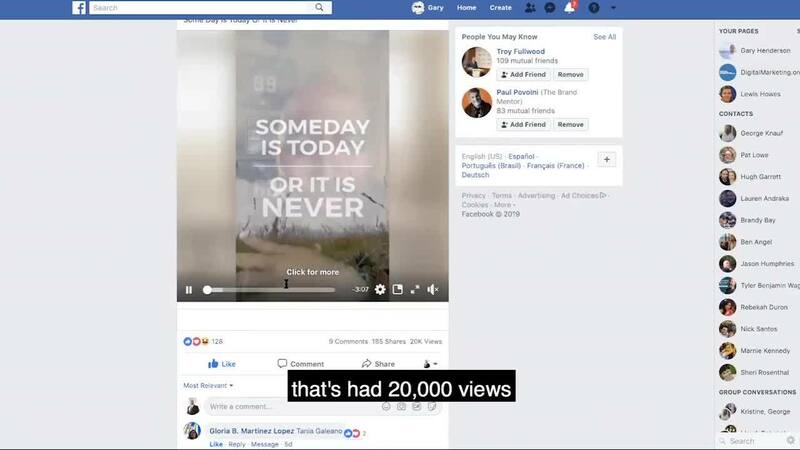 If your platform is Facebook make a few videos that don't have sound. In Fact, 85% of Facebook video is watched without the sound on. Which is why you have to make each piece of micro-content to fit on each platform you serve it on. If you're not great at making videos, you can send your content out to Fiverr, and they will make your video for you at a reasonable price. Then once you have your video, you can spend a dollar a day on your ideal audience. The reason you want to pay a dollar a day building out your ideal audience is, so you have this massive audience that you know will engage with your content. Then when you have the right content to show your audience, they will convert like crazy. This goes back to R3MAT - showing the right message to the right person at the right time. Then you would know that one specific video is perfect for this one person or this group of people. 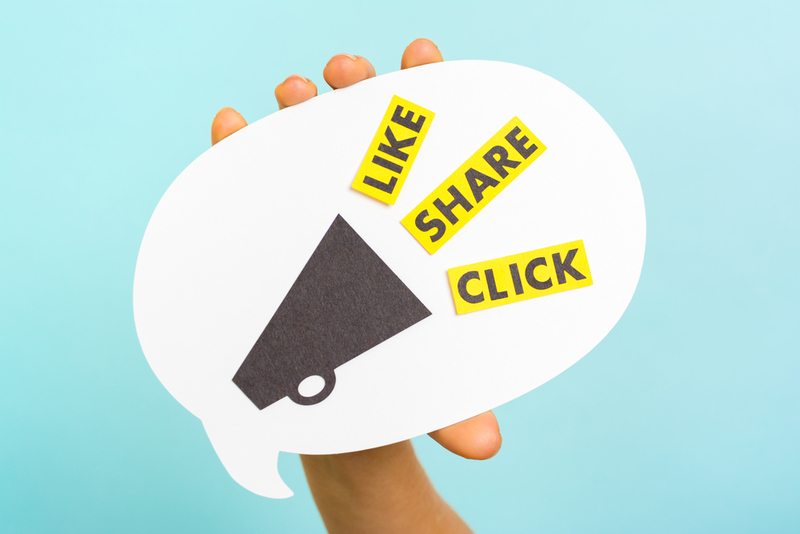 You want to make it easy for your guests to share and promote your podcast and episodes. To make podcast episodes easily shareable, you will have to break your episodes into small pieces of micro-content as I stated above. You can make so many types of content out of one podcast episode. You can make videos, images, sub-clips, mini promotional videos, memes, Facebook and Instagram posts, and the list goes on. You can start out creating content that you feel comfortable with and then move up from there. 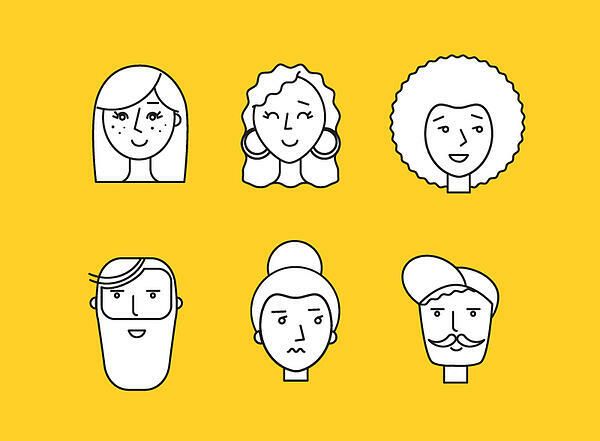 But, the goal is to create as many different pieces of content that will go with each one of your personas. You can't show the same thing to everyone and expect results. It has to be personalized. If you need more help check out our blog post on the 10 marketing podcasts you should listen to. Create images and memes from podcast episodes that are easily shareable. Tweets and status updates will keep your audience up to date on new episodes. 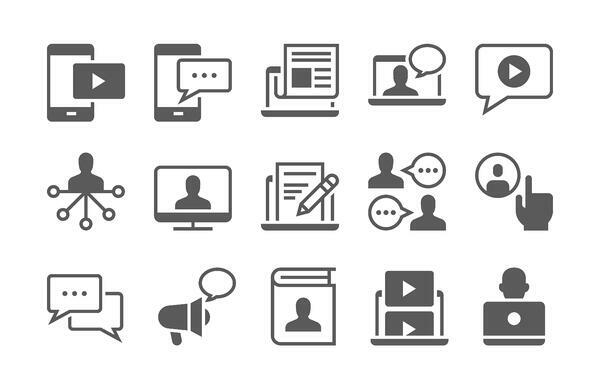 Incorporate sharing icons on your website. Send out emails when you have any new updates about your podcast. 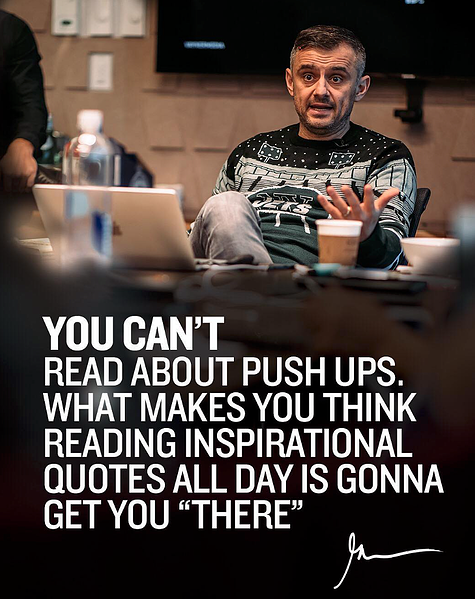 Gary Vaynerchuck does this all of the time. He creates small sub clips or memes from a 30-minute podcast and will show his ideal audience (that he has worked hard to build) a clip of that podcast that he knows will resonate with them. Here's an example of a super shareable quote from Gary Vaynerchuk. Now, Go Get Your Hands Dirty! We hope this blog was helpful and if you need any more help then reach out to or join our DM Impact community or our blog. You can learn new tactics and also have a mentor right beside you to keep you up to date on all of the new changes and help you get the results you need!